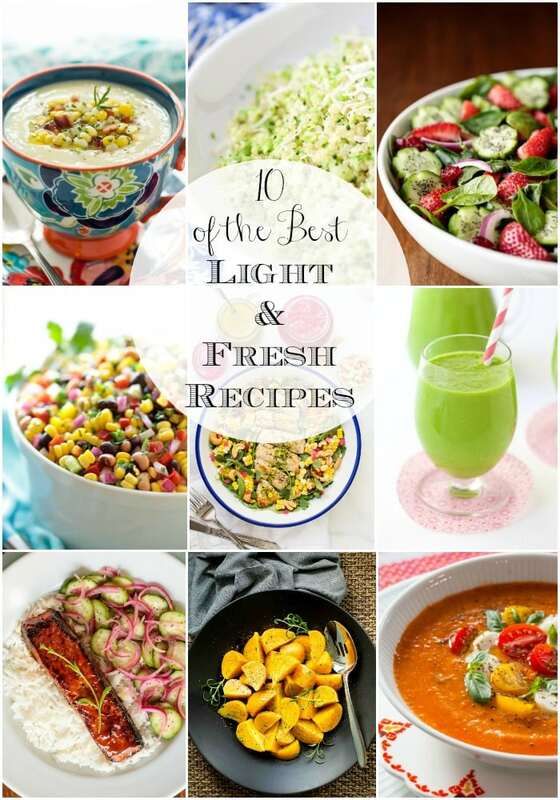 Ten of our favorite light and fresh recipes, perfect for warmer weather and healthy eating! Anyone out there feeling like you’d like to shed a few of those winter pounds and eat a little healthier as these beautiful spring days unfold and summer is no longer a distant dream? Yep, we’re right there with you! That’s why we’ve gathered some of our favorite light and fresh recipes for your enjoyment in the weeks ahead. 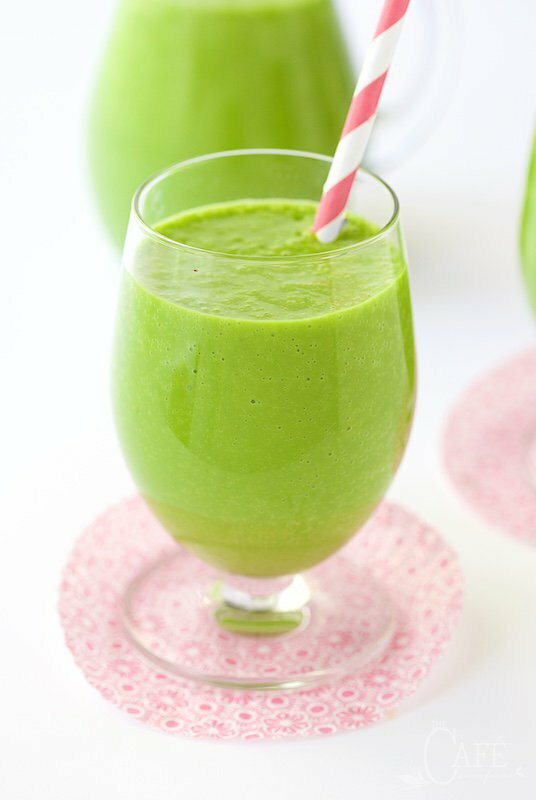 This Peach and Fresh Pineapple Green Smoothie is a super healthy and delicious way to start the day! 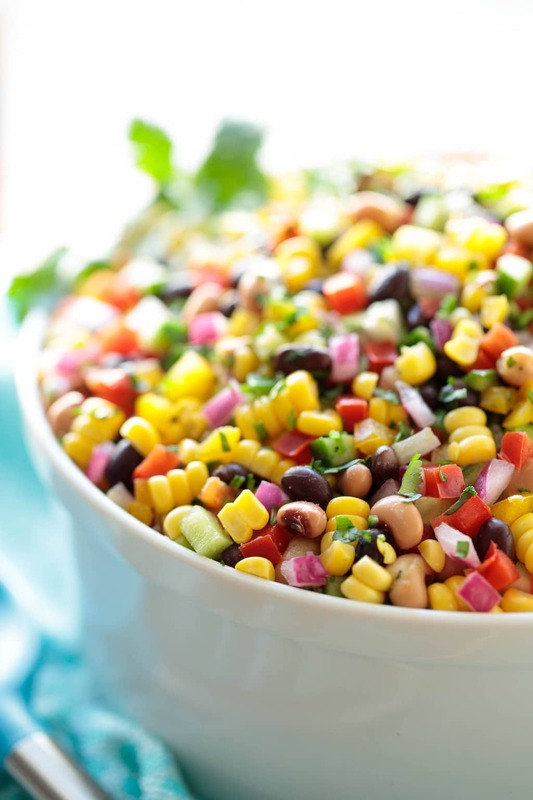 This Mexican Corn and Bean Salad is wonderful for potlucks, with chips and makes a fabulous side for sandwiches and grilled entreés. 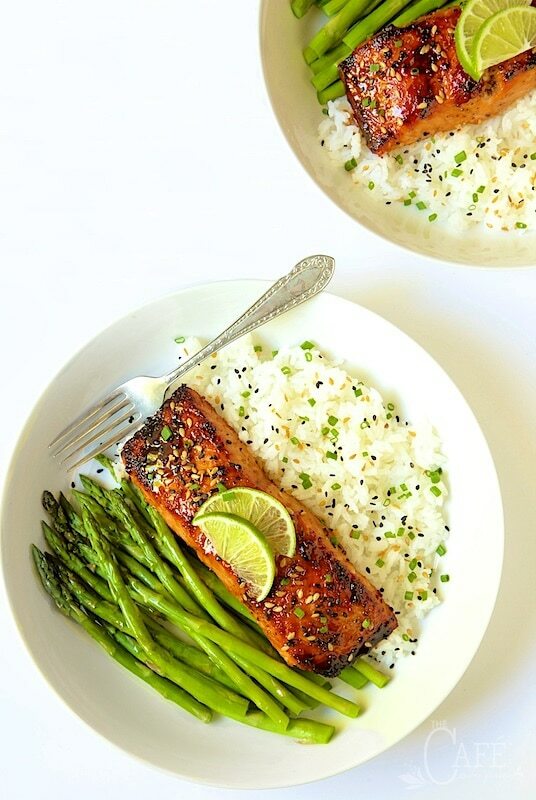 This Asian-inspired, Honey Coriander Make-Ahead Salmon is perfect for everyday-easy meals, but also makes a fabulous entree for a dinner party. 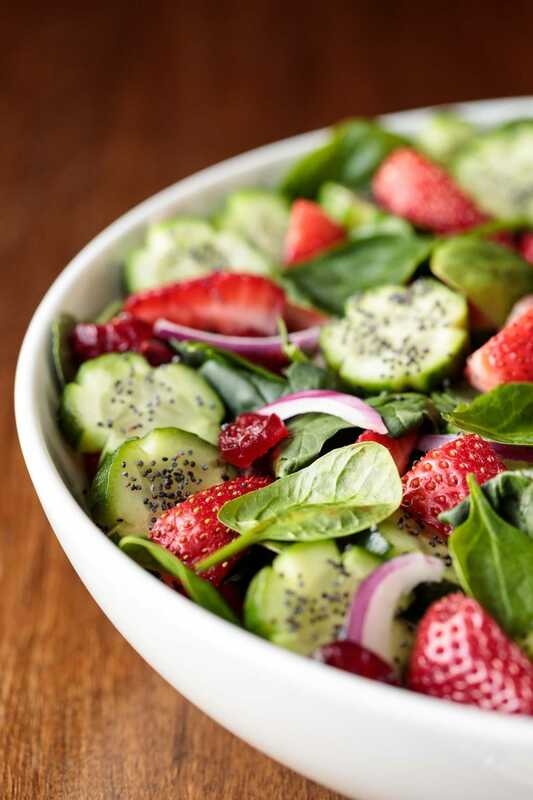 This Strawberry Spinach Salad is light, fresh and pretty as a picture. 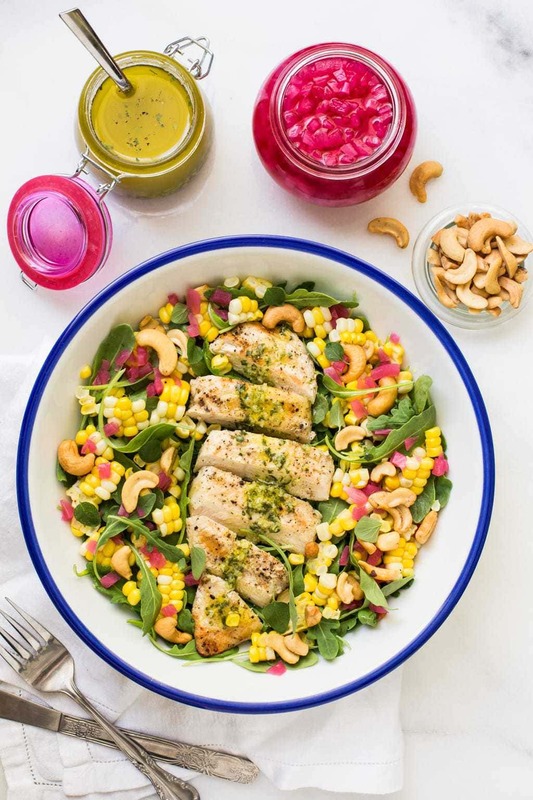 The Basil Dressing and Sweet, Spicy Glazed Pistachios are the crowning glory! 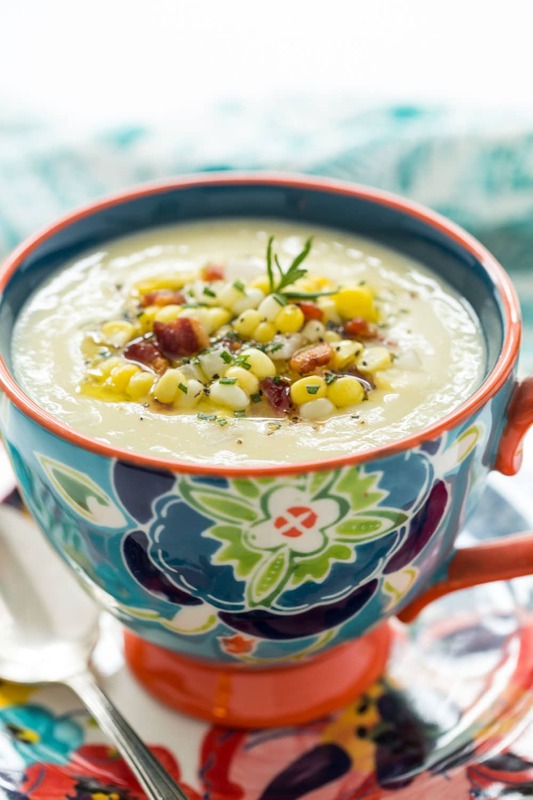 Fresh Corn Soup– a delicious, make-ahead soup that’s perfect as an appetizer soup and oh, so wonderful for lunch or casual dinners! 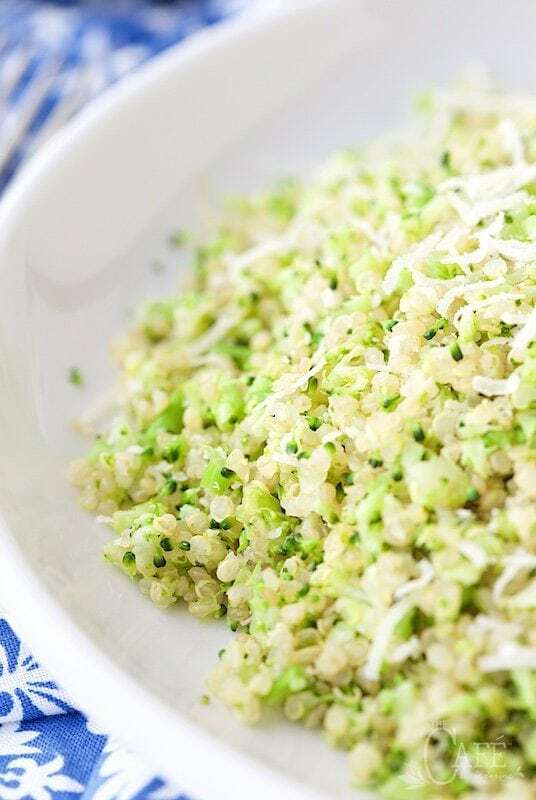 Broccoli Parmesan Quinoa -What if you could serve a broccoli dish so delicious that everyone at the table would be begging for more? 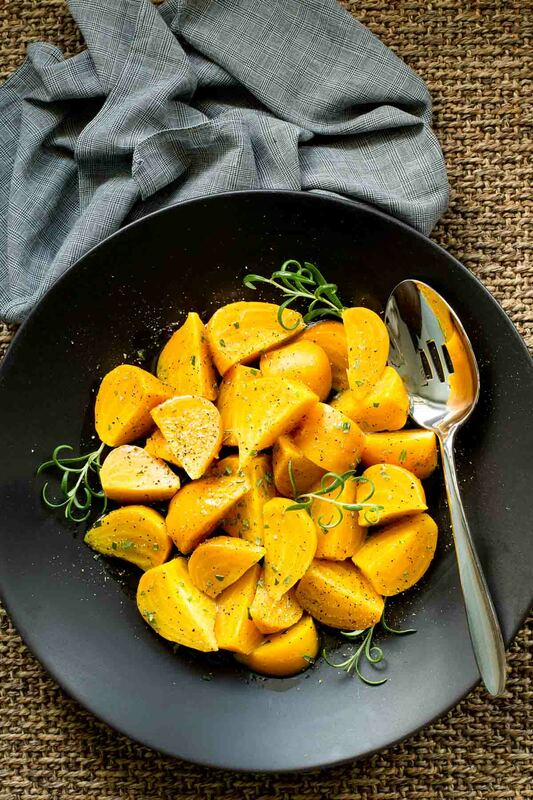 This one’s quick, easy, healthy and a real crowd pleaser! 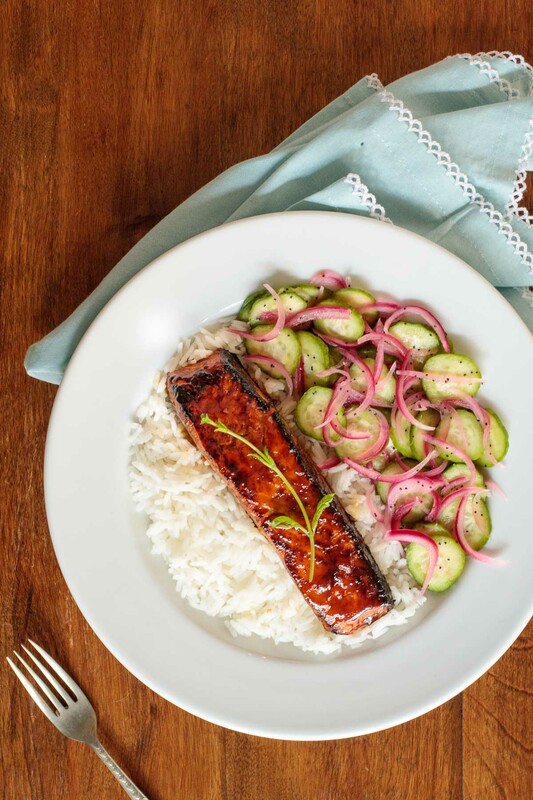 This Honey Bourbon Glazed Salmon is deliciously company worthy, yet everyday easy! The sweet, sticky, spicy, gingery glaze/drizzling sauce is unbelievable! 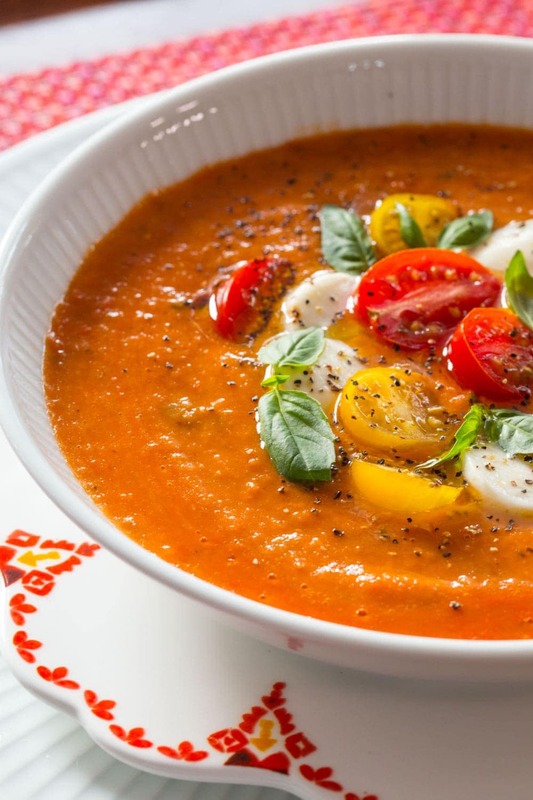 With traditional tomato-basil flavor and lots of healthy red lentils, this delicious Roasted Tomato Lentil Soup Caprese has a classic fresh mozzarella topping. Alice Water’s Easy Marinated Beets– These healthy, easy marinated beets are like candy, once you try them you won’t be able to get enough! As we get closer to summer, I’m always looking for lighter, healthier meals Chris. Thanks for this wonderful round up! They all look amazing! Yes! I’m craving lighter and fresher recipes like these Chris. They all look wonderful but the salmon recipes are going first on my list 🙂 Beautiful smoothie too. Have a great week. That honey bourbon salmon is calling my name. I think I’ve found Friday’s dinner! !